Protect yourself between you and the ground. The wheels and tires of your vehicle are all that stand between you and the open road. They keep your car rolling, so it’s essential that they are in perfect working order. At Felix Auto and Tire, we have a full staff that is trained and experienced in wheel and tire care. We know the importance of keeping your car on the road and out of the garage, so we work extra hard to get vehicles in and out as quickly as possible! You may not be aware, but your tires can affect your gas mileage and your suspension. There’s much more to wheel and tire care than just the way your car drives! From your basic inspections to full-out repairs, you can be sure that we’ll do whatever it takes to restore the wheels and tires on your car to their maximum efficiency. You will immediately notice a difference in the overall smoothness of your ride, but you will probably also experience better fuel mileage and less wear and tear on other parts of your vehicle when the tires and wheels are in good condition. If you have purchased a used car, we highly recommend that you drop by Felix Auto and Tire for a full wheel and tire inspection. We’ll look at the tire pressure and the tire pressure monitoring system to make sure that the sensors and other components are working properly. We will also check the wheel alignment and wear so you’ll have an estimate in mind of how long it will be before you’ll be servicing and replacing those tires. We also recommend that you consult the owner’s manual to find out the manufacturer’s recommended inspection schedule. Once we’ve established the condition of your car’s wheels and tires, we will let you know what, if any, services should be performed. We will tell you which things should be done ASAP and which services you should have done in the next few months. This could include rotating, balancing, or aligning the tires. It could also mean that your four wheel drive’s transfer case needs a little work or you simply need to replace the fluids. 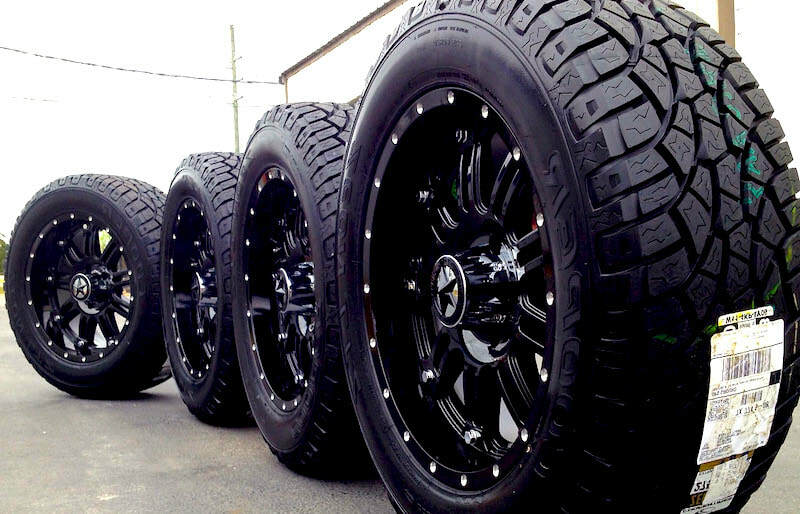 Felix Auto and Tire offers a full line of wheel and tire services such as these in order to keep your vehicle in top-notch condition! All cars will need replacements from time to time. The wheels and tires take more abuse than any other part of the vehicle, so it stands to reason that you should take care of it from the ground up! When you need to replace your tires, wheels, or sensors on your tire pressure monitoring system, call Felix Auto and Tire for fast, efficient replacements. We’ll perform the necessary services, check to make sure that everything is in perfect working order, and get your vehicle back to you faster than anyone else in the Oshkosh area! There are a lot of things that can go wrong when it comes to your wheels and tires. Stop problems before they start by trusting your vehicle to Felix Auto and Tire!